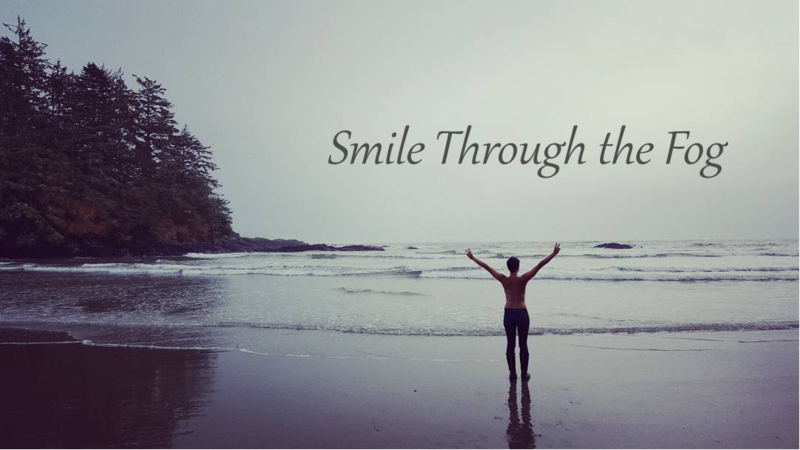 One thing I’ve learned through treatment is to just go with the flow. Nothing remains the same. Ever. I was originally supposed to have surgery to remove more lymph nodes once I was finished chemo. Upon meeting with my surgeon however, the plan changed to focus on my primary cancer treatment first – chemo and radiation – and then discuss surgery afterwards. I had anticipated having a few weeks off after chemo and was dreaming of a week-long vacation somewhere warm, but alas things change and plans are never set in stone. 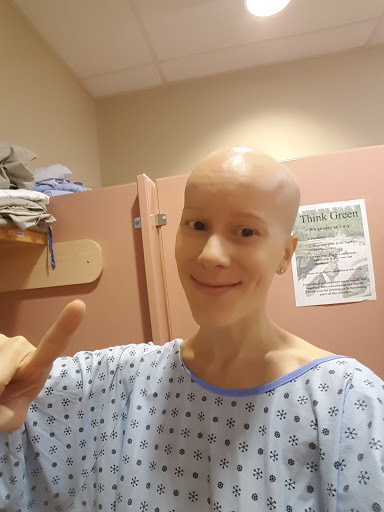 The cancer agency called me a few days after finishing my last treatment to set up an appointment with the radiation oncologist the following week and let me know that I would be starting radiation within 3 weeks. I wasn’t expecting to start so quickly but was glad that things kept moving along to get rid of this beast. When I first spoke with the radiation oncologist in the summer, she advised me that I would be given 20 treatments of radiation to the breast and lymph nodes to kill any remaining cancer cells. Things had changed though as I began to ponder the benefits of doing preventative surgery. Although studies have found that a lumpectomy vs mastectomy have the same overall survival rates, there was an increased risk of recurrence by only doing a lumpectomy. 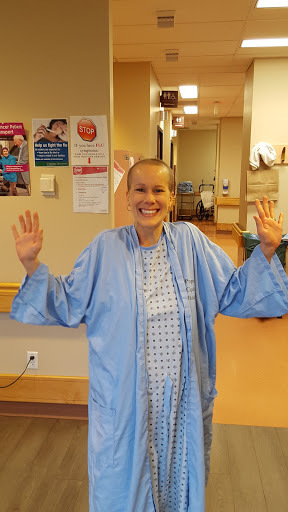 Even though I will be tested often and a recurrence of breast cancer would likely be found in the early stages, the last thing I wanted was to go through this all over again. The type of breast cancer I have too tends to be multi-focal meaning that there can be multiple tumors within the breast and has a tendency to spread to the other breast as well. Since the possibility of mastectomy was now on the table, the new plan would be to lower the dose of radiation and extend the amount of treatments to 28 to preserve the tissue as best as possible. The tissue would be easier to work with and have less complications/side effects by giving the radiation in lower doses. Two weeks before beginning radiation, I had a planning CT scan done to differentiate between normal and cancerous tissue areas and determine the amount and location of radiation to be given. The radiation techs placed a clear plastic type board over me on which they drew an outline of my breast and the lumpectomy incision area. Then, they put three felt marks on the area around my breast as coordinates to align the lasers and conducted the scan. Once finished, the marks were permanently tattooed on me so that they didn’t wash off as they would be used as coordinates for each of my radiation treatments. I can say that I’ve officially got my first tattoos now! The tricky part was trying to figure out how I would attend my appointments as radiation is only done in Victoria at the cancer agency, about an hour and a half from my house. I could either stay at the cancer lodge for a fee of $53 per night which includes shared accommodations and 3 meals a day or I could drive down every day with the cancer van which is free of charge and run by the Freemasons society with numerous volunteer drivers. I opted to drive down with the cancer van since it would start adding up with the cost of accommodations. One of my sister’s friends we grew up with also graciously offered to let me stay at her place which I took advantage of a few times to break up the driving (thanks Candace and Brian!). On my first day of treatment, I was shown the routine that would take me through the next 28 treatments. I grabbed a gown which I kept in my own cubby to be reused each time. I was led into the radiation area and was laid down on the radiation machine and the techs shifted my body ever so slightly to align my tattoos with the lasers. Once aligned with the coordinates, the techs left the room and the machine began to buzz and move around me. The treatment itself only took about 5 minutes and I didn’t feel anything during that time. I spoke with a nurse afterwards who outlined the side effects of radiation over time. These included fatigue and skin changes to the radiated area. It was important for me to hydrate my skin as much as possible to avoid a skin reaction such as a redness or itchiness. Some people can get what looks like a sunburn over time which, depending on how bad it is, can blister. Over the course of treatment, I got into the routine of driving down to Victoria and back everyday, coming home and going out for a walk with my dog. She’s such a good motivator for me to continue exercising throughout all of this. Most days there’s nothing more I’d like to do than to come home and relax but I know I need to keep moving to offset the side effects and to stay strong. It’s good therapy for me as well getting outside and enjoying the fresh air and appreciating the beauty around me. I had a check in with the radiation oncologist two weeks into treatment to see how things were going and if I had any questions. Other than a few pains in my breast and rosiness of the skin, I was responding well to treatment. One of the great things about being at the cancer agency is the people. They make this whole process so much easier and it doesn’t feel like you’re in a hospital or typical health care setting. There are many volunteers throughout the building offering tea or coffee, showing you where to go or just being a friendly face to chat with every day. And the staff are so friendly and always smiling and making you feel comfortable in an otherwise uncomfortable stressful situation. Not only are the people great, but I was pleasantly surprised one day when a couple therapy dogs came in with their owners to work their own magic. I am a huge animal lover so having these dogs around made me so happy and excited for the next time I would get to see them. After completing 25 out of 28 treatments, I had a check in with the radiation oncologist once again. My skin was now getting redder in spots and it ached more at times but the low doses of radiation were sitting fairly well with me. The lymph nodes had their max dose of radiation at 25 treatments so my breast would be the only thing radiated for the remaining 3 treatments. This meant an even quicker radiation session now only taking about 3 minutes. It’s crazy to think of driving over 3 hours everyday for a quick 3-5 minute appointment. As I travel down for my last appointment today, I feel grateful for many things. Being able to live in a country where we are provided exceptional care and treatment for cancer. Building relationships with new people I met on my drive down or at the cancer agency. And also forming closer bonds to those I’ve known over the years and got the opportunity to spend more time with recently. I feel so accomplished to reach another milestone in my treatment plan and look forward to getting one step closer to beating this. All finished 28 radiation treatments!